With the Sigil System 1.2 released, it was time to start updating our prior mods to get up to speed with the new system. First on the block is Runes of Power. It used to be called Runic Magic, but now it’s got a snazzy new name and a new pretty cover. We’ve made some tweaks to the magic rules to get it to Sigil 1.2 standards and you’ll see this especially with the Range rules for the incantations. We’ve also added in some new character creation options (much like in Brightest Night), so if you want to start a game off as a wizard or a mage, these character creation options will help set the mood and the tone for your new magical character. 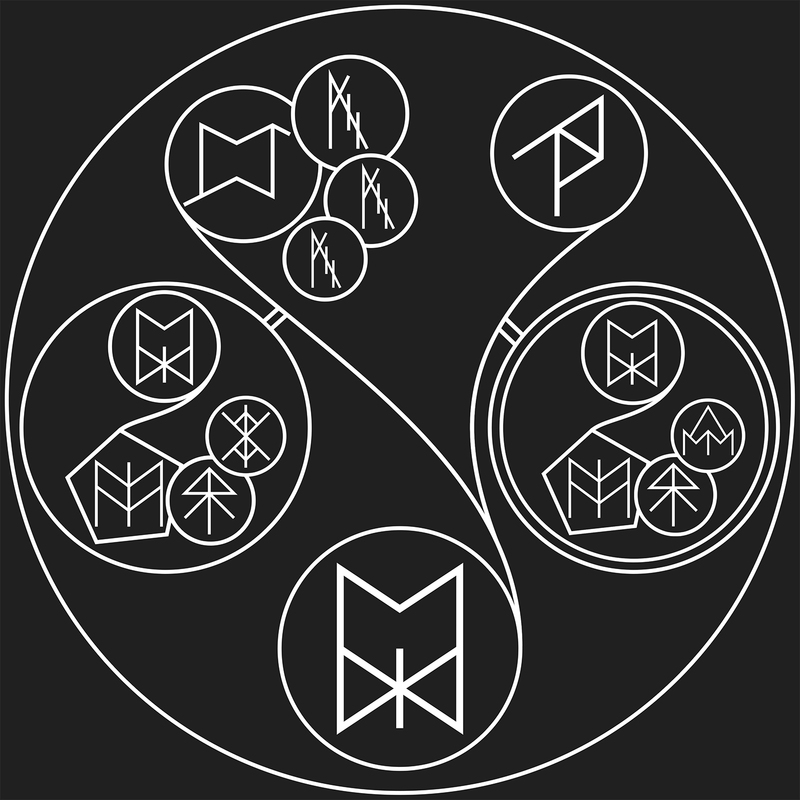 So if you’re keen on some runic magic (and who isn’t), then click the big image up top or HERE to get your hands on Runes of Power. And remember to keep watching this space as we’ve got a heap of new mods coming out on the horizon, from character focussed mods to combat mods to even world-generating mods! Another year is almost gone and Christmas is already just around the corner! And you know what that means, it means jolly good old sale! 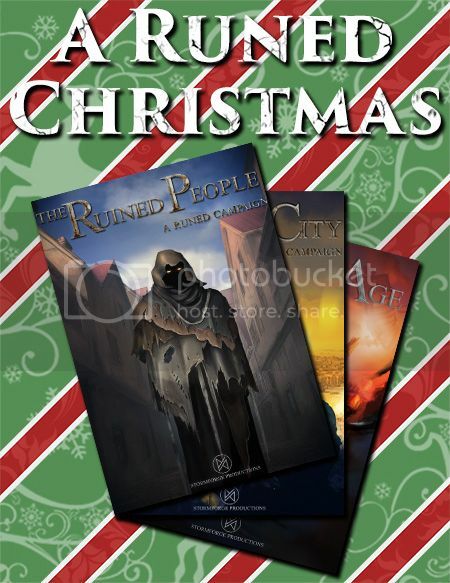 While you’re looking around for presents to buy, treat yourself to a little runic magic and delve into the world of the Runed Age with the Runed Christmas sale. You’ll find all 3 major Runed Age books in this bundle as well as a few free goodies to get you started in the massive, magical, metropolitan city of Middelburg. You’ll get all of this for only $19.99 and you can click on either the banner below or the image above to get straight to the bundle. 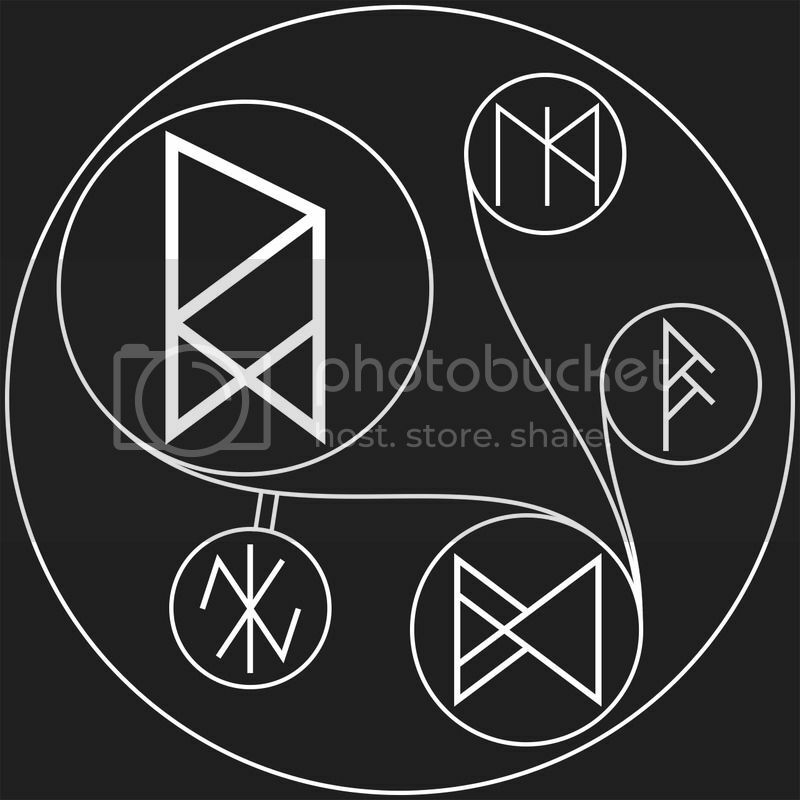 The sale will run for the entirety of the Christmas season so you be sure to spread the word around and have everyone have a very merry runic Christmas! We’ve finished revamping and streamline the runic arrays and the new rules can be found on DriveThruRPG! So what are you waiting for? CLICK HERE to go get your hands on it! If you’ve already got yourself The Runed Age Corebook, then you’ll have received an email from DriveThruRPG with a download link to a modified version of these rules just for the Runed Age. Posted on September 19, 2017 Categories Announcements, Runes & Arrays4 Comments on Runic Magic released! Some of you may have been wondering why there hasn’t been a Runic Arrays post in quite some time. While we have been hard at work on Z-LAND, the real answer is that we have been reworking the runic magic system into a new, more streamlined system. It won’t replace the original runic magic system found in The Runed Age, but it will allow you to use the magic system more often in game as it is quicker and more efficient to use. And, hopefully, more understandable. 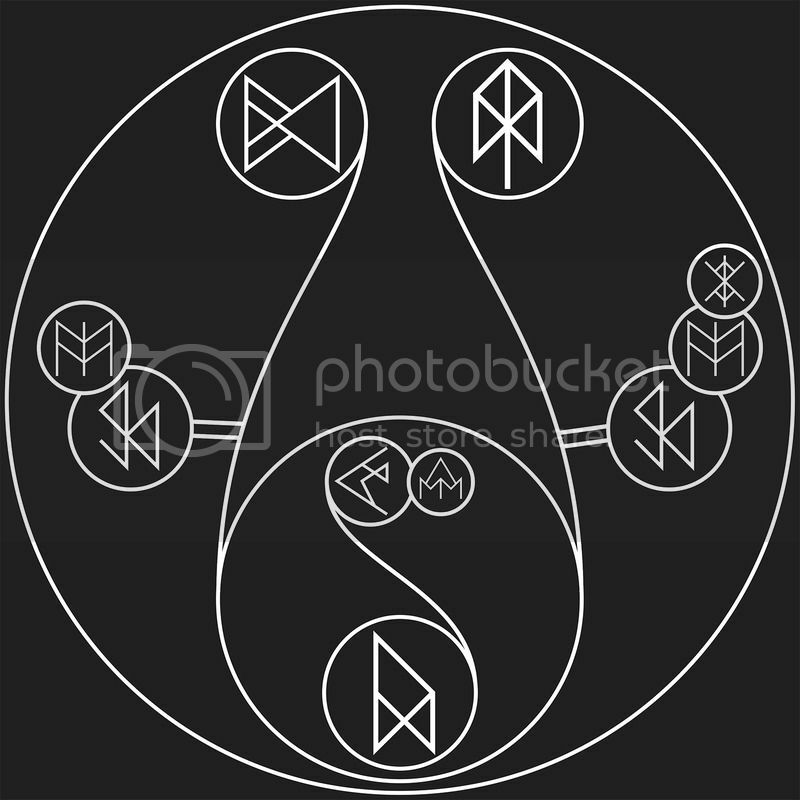 The new runic magic system is a slot-based, modular system where you will work from a template to swap runes in and out of their designated positions to create your runic effects. 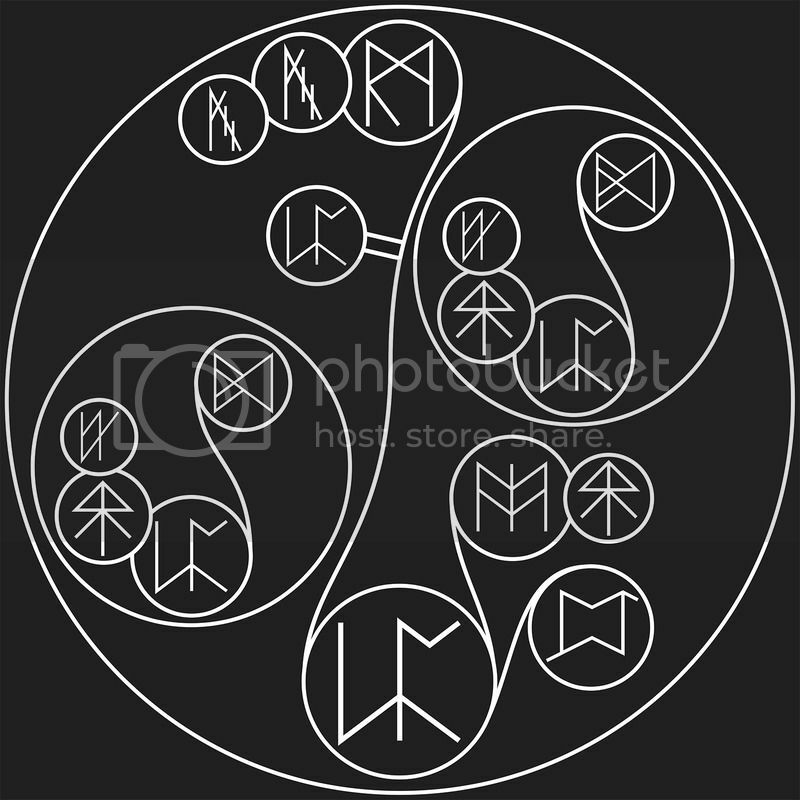 There are five types of slots, and each type of slot has its own selection of runes that can be used. 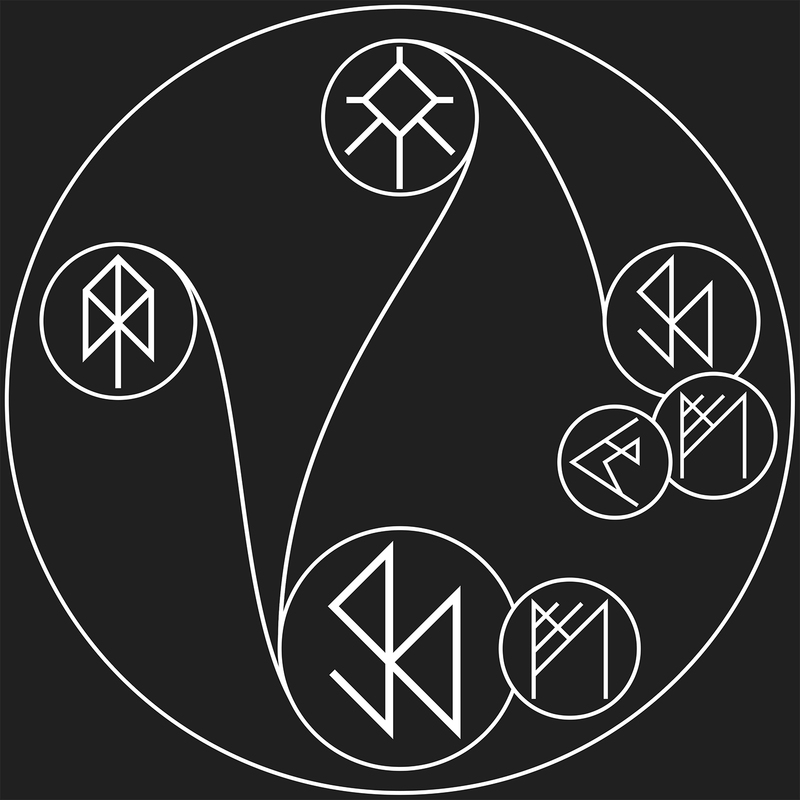 Each runic array must have all five slots (and only one of each), and a rune in all five slots, in order to work. This means that as soon as you understand what all five slots do, you can quickly and easily add and remove runes to create new runic arrays. The Size slot works much the same as the Size Modification runes before and they just say how big the magical effect will be. The Shape slot, as its name implies, says what shape the magical effect will be in. Eg: a ball, a cone, a column, a disk, a wall, etc. The Action slot is where you say exactly what you want to do. 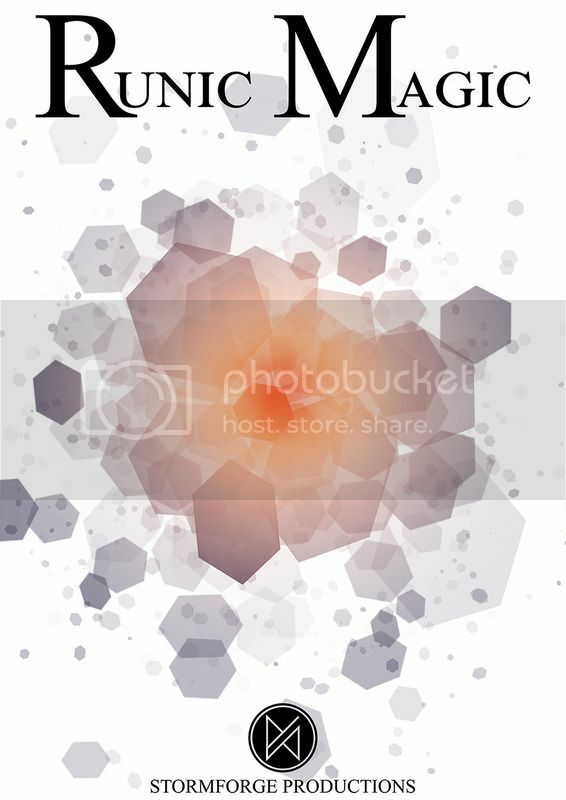 Do you want to create, contain, transmute, push, pull, etc. This is what the magical effect will actually be doing. 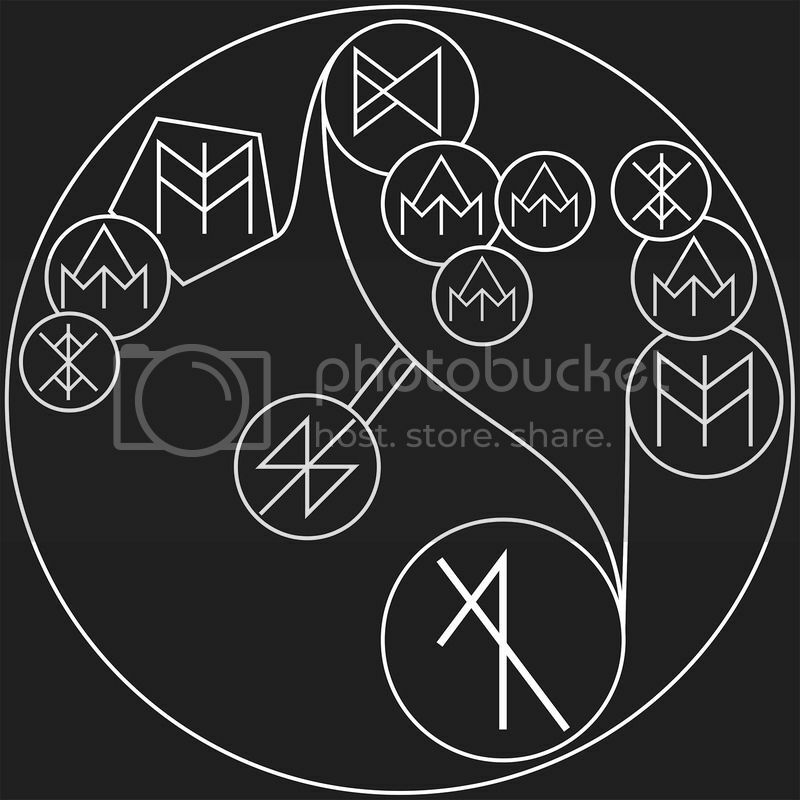 The Target and Trigger slots share the same pool of runes, because they state what is being done and when it is being done. Or in other words, Do the Action to the Target if the Trigger is present. 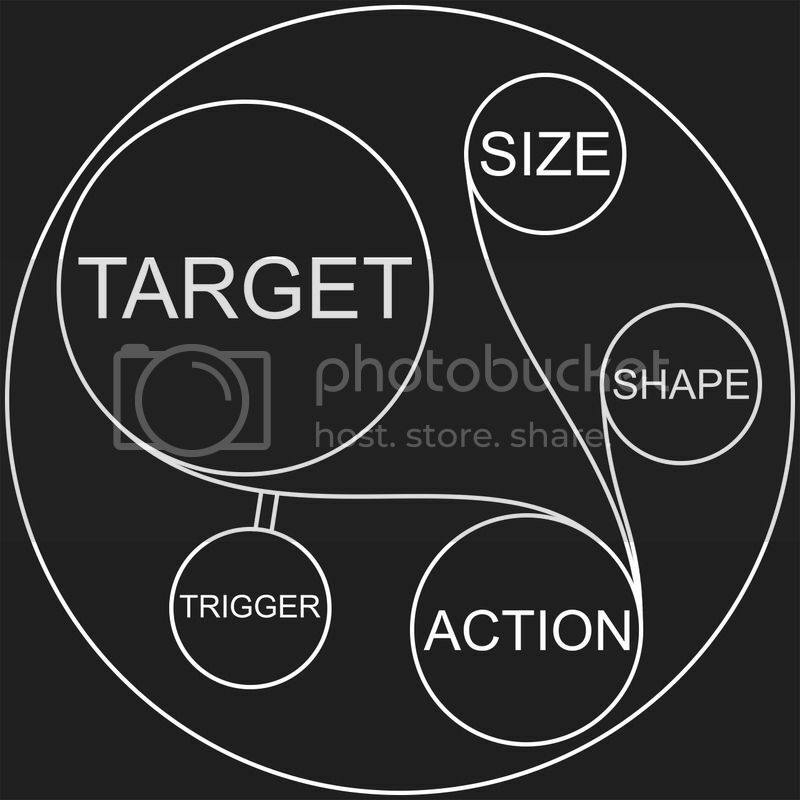 For example: Create (action) Water (target) if Fire (trigger) is present, or Float (action) Human (target) if Human (trigger) is present. This creates a small ball of fire if air is present. 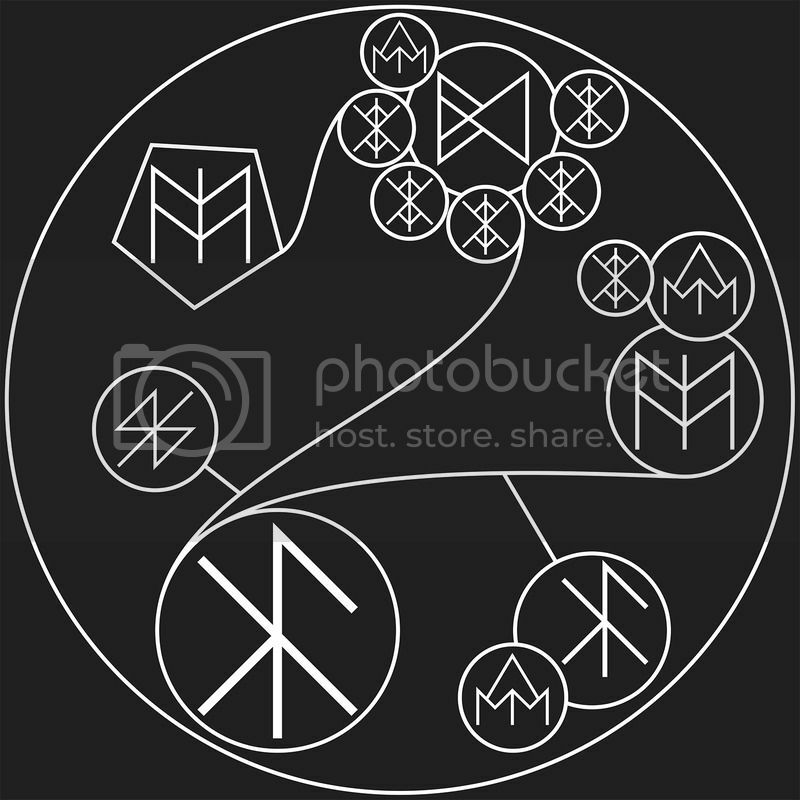 So just like the array above, this runic line says Small, Ball, Create, Fire, Air, which means: In a Small Ball Create Fire if there is Air. And that’s all there is to know about our new magic system, barring the devils in the details. We’re in the midst of typing all this up and you will be able to get the full pdf of the new rules, the new rune list, and all our previous runic arrays on DriveThruRPG before long. For our runic arrays segment this week we give you a new way to use the arrays. This week we show you the Dancing Lights array. Notation: Secondary arrays: Create Copper in the shape of a disk as wide as the array and as thick as 1/1000th the array’s diameter. Primary Array: Rotate Copper at a speed of 4 rps if Copper is present, Push Copper at a speed of 1 m/s and Contain it to the width of the array and as deep as 1/10th the array’s diameter. Description: An array that is perfect for a shield, and one that turns your shield into a weapon itself. The Dancing Lights can be called an array of arrays. While it does have secondary arrays inside it, it isn’t a complex array because, if you look closely, you’ll see that these secondary arrays do not actually connect to anything. And they don’t have to. Any open space within an array is fair game for another, completely unrelated array. As long as there is an outer boundary around each array to isolate it, you can have as many arrays inside a larger array as you want. This is an excellent way to tie several arrays together into one compact space, especially if those array normally can’t work with each other. Take the Dancing Lights as an example. It create two flat copper disks and spins them around the centre of the array. With a single array, this is impossible, because any copper disk created would be created in the centre of the array and rotating it would just rotate it around its own centre axis. By putting these two secondary, and unconnected, arrays inside the larger array you can create those copper disks at any specific spot inside the array that you want. So these two copper disks won’t be rotating around their own axes, but will be flung around the larger array’s axis like moons around a planet. Two completely (well almost) unrelated arrays working together to create an effect that is greater than the sum of its parts. As to how to practically use this array? Well you just let it do its job and focus on the battle you have found yourself in. Copper is a highly reflective material, so whomever is facing your shield will see, as the array’s name implies, bright spinning and dancing lights in front of them. These copper disks also serve as a further level of protection, by being able to deflect incoming blades and projectiles. And since they are so thin (and made of metal) they are effective blades in and of themselves, able to cut open flesh and bone as good as anything else. It really is the complete package. For our runic arrays segment this week we give you a way to make wizards even more overpowered. This week we show you the Wizard’s Envy incantation. Notation: Heat Iron at a rate of 64 degrees Celsius per second within an area in the shape of an Inverted Dome 100 times as wide across as the array and 10,000 times as deep as the array’s diameter. Cast from the mouth. Incantation: Begh Yst Dün Ob Watze Ant Schniv Sepa Cob Dün Ob Hohd Ant Mürgrot Non Küp Ant Omkirdi Non Rônde Ant Grot Ant Mürgrot Tüwe Cob Ent Fin Bek. Description: It is a staple trope (and perhaps even a cliche) in high fantasy stories that wizards are clad in loose cloth robes while the warriors encase themselves in as much steel as they can find. The warriors are the knights in shining armour while the wizards are the mysterious mages. It is a way to easily distinguish two very different types of characters and in games (whether videogames or tabletop) it is also a way to balance the two classes. After all, if a wizard could wear armour, wield a sword and then cast magic as well then what use is there for a warrior? But you surely must feel for these wizards, watching these mighty warriors with their brightly shining (and often gilded) suits of armour crafted by the finest artisans, bedecked in fancy tabards and robes, their coat of arms proudly worn on their shields while a colourful and symbolic crest sits atop their helms. That is the sort of thing legends and songs are written about. And all the while, all the wizards have is a faded old robe, a tattered pointy hat and a long walking stick. So why wouldn’t a wizard start to get envious after all the attention these pretty boys in their armour seem to get? Why wouldn’t a wizard start making plans, devious plans, to even out the playing field. After all, if a wizard can’t wear armour, no one should! It’s only fair. And that’s where this incantation comes into play. Dreamed up by a very bitter and spiteful wizard, the Wizard’s Envy incantation creates an inverted and stretched dome (otherwise known as a rounded cone) that heats up all iron (and thus steel) within it by 64 degrees Celsius a second. The intent here isn’t to melt the iron and steel, since that would require holding this spell on target for more than 23 seconds. Rather it is just to make the cost of wearing armour greater than the reward. After less than two seconds, the weapons and armour wielded by the warriors caught up in the cone would already be over 100 degrees Celsius and far too hot to touch with bare hands. Less than four seconds into the spell and they would be over 200 degrees Celsius and would start to burn and overheat the warriors no matter what are wearing underneath. The only thing the warriors will be able to do is to throw down their weapons and try and get out of their armour as quickly as possible. And now the warrior and the wizard are on equal footing, no weapons and no armour. Well, the wizard still has magic, but why fight a fair fight? For our runic arrays segment this week we give you the way to create your very own legion. This week we show you the Grand Army array. Notation: Transmute Humans into Air if Humans are present and apply the effect of Created Lightning to Air. Description: A handy array for both taking down a single enemy as well as incapacitating anyone around him. The true power from this array comes from its smaller, secondary array. Without this, it would simply be an array to transmute humans into air, which while useful, is not any different than transmuting humans into anything else. 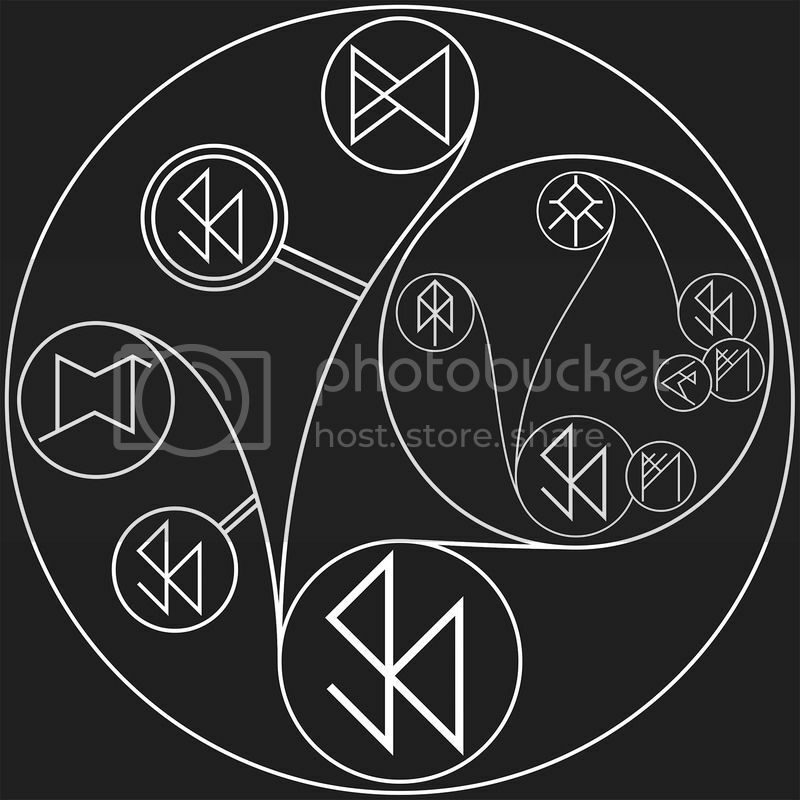 By putting the secondary array into it, what you are telling the array to do is to apply the effect (not the individual runes) onto all of whatever rune is in the centre of the array. So for this array, the effect would be created lightning, so simply just lightning. The array would apply this to all of the air around it, meaning that all the air around the array would now be filled with electricity trying to find the quickest way down to earth. But merely electrifying the air around the array isn’t enough for this array. No, that would be too simple. The other trick with this array is to remember that when dealing with runes and the materials they represent, the arrays work in mass and not volume. So if you transmute a person into air, you won’t just have as much air as can fill up the space that person left behind. Instead, you will have as much mass (or weight) of air to deal with stuck in that space the person just vacated. For other things, this wouldn’t be much of an issue, but air isn’t very dense. 1 cubic metre of air weighs only 1.23 kg. So if you transmuted a chap weighing 80kgs into air, you would end up with 61.9 cubic metres worth of air in an area of around 0.8 cubic metres. This just won’t do, and with nothing to stop the air moving it will immediately rush out of that space to find some equilibrium with the atmosphere around it. 61.9 cubic metres is enough to fill up a room and it will be expanding at an alarming rate. All of this means that everyone around the poor chap who just died will be knocked off their feet by the sudden gale of wind around them and then electrocuted by the electricity flowing through that wind. So with one array engraved onto a bullet, you can kill one man and keep all his allies convulsing on the floor. And if you are new to the runes and arrays, here is a playlist we made to explain exactly how they work. Notation: Create Humans if no Humans are present, Push Humans at the speed of 1 m/s if Humans are present and apply the effect of the Lazarus array to Humans. Description: As can plainly be seen in the notation of the array, and in the array itself, the Grand Army array is based on the Lazarus array and uses the Lazarus array as its most critical part. What this array does, in short, is to create its very own cloning production line. With this array, and as much energy as you can feed it, you can create as many artificial humans as you want. However, as with all arrays, the devil is in the details. The Lazarus array transmutes (specifically) non-living humans into live humans. The obvious use for this array is to resurrect the dead. We naturally presume the opposite of alive to be dead and think to have a dead human you must first have had a living human. This, however, is not always the case. Any plant and animal (including humans) created by an array comes out dead. Well, technically not dead since for the merest fraction of a second after its creation it is indeed alive, but within the time it takes you to blink the created “thing” will die. This is because the arrays cannot provide that spark of life to a newly created plant or animal. It can, however, create that plant of animal in a perfect condition which is why it will be alive for a heartbeat. 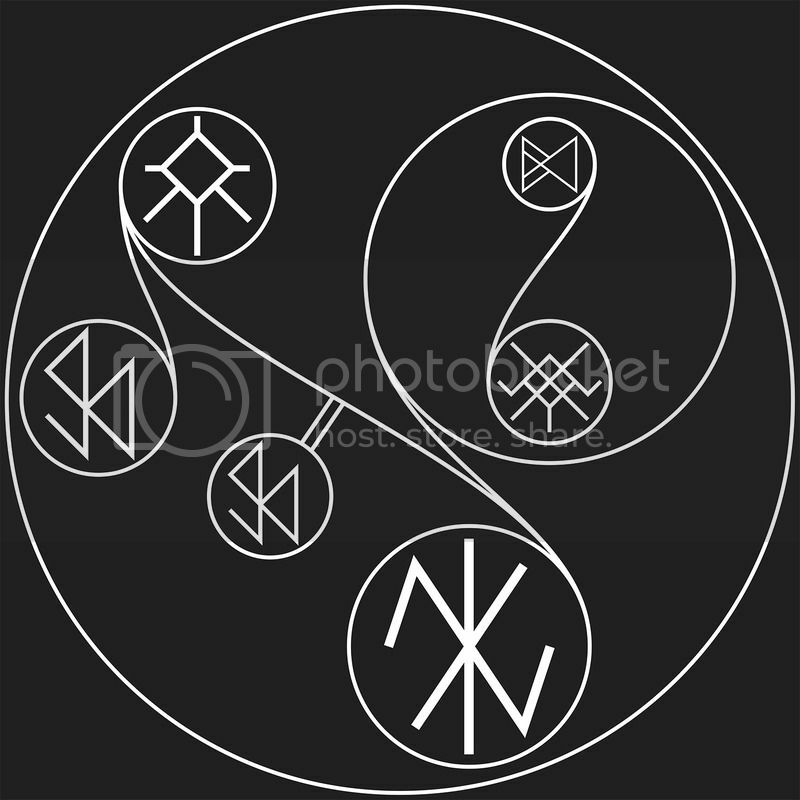 While the runes and arrays cannot provide that spark of life, what they can do, though, is change the state of something: ie transmutation. It is the transmutation of something non-living to something living that allows the Lazarus and thus the Grand Army arrays to work. Just one thing to note is that while this can be called a cloning machine, it can’t actually create a copy of an existing person. All it does it create a “blank” human over and over again. “Blank” in this case meaning “an androgynous, racially indeterminate, sexually mature corpse of a human” as the description of the Human rune puts it. Also, remember that this is a brand new human and comes with all that entails, so if you want your army you will first have to train it how to speak and walk and use the toilet properly. But if you have patience, you will get your army. For our runic arrays segment this week we give you the ultimate reset button. This week we show you the Lazarus array. Notation: Transmute Non-Living Humans into Living Humans and sustain said Humans. Description: A very simple array but with the most direst of consequences. This array does exactly what its name implies: it brings humans back from the dead. By transmuting non-living humans into living humans, the only thing you are really changing is the state of life, thereby leaving the person “transmuted” unaffected otherwise. They are still the same person for all intents and purposes, but one thing that does not change is how they died. Unlike the Dark Folly array, the Lazarus doesn’t turn back time to before the person died, it just changes their state from “dead” to “living”. So if they died through violent means (eg a gunshot to the chest) they will still have that bullet hole in their body and all the damage associated with it. And if left like that, they will promptly die again. That is why the Sustain rune in this array is so important; it sustains the body and keeps it from whatever just killed it killing it again. As long as the array is active and the Sustain rune is working, the person won’t die again. This gives you the time to fix whatever went wrong, however you might go about it. One thing to note is that because this array only changes a person’s state from “dead” to “living”, if they are too far decomposed, it wouldn’t do any good since no amount of surgery will fix them. In that case, it is better to use something like the Dark Folly array. It will require far more energy, however, and that is why this array will more easily work in a pinch. And lastly, if you are using the Z-Land rules with the Runed Dead crossover (for which the Life rune was invented), this array won’t help to bring people back from the dead as the undead in the Runed Dead are powered by the arrays. If you try and use this array on a dead person, it will just turn them into a zombie. For our runic arrays segment this week we’re gonna rock your world. This week we show you the Repeating Hammer array. Notation: Push Iron at a speed of 8 m/s if Ironis present within a Cylindrical area the height of the array’s width and Pull Iron at a speed of 1 m/s if Iron is not present within a a Cylindrical area 10 times the height of the array’s width. Description: Like many arrays created in Middelburg after the discovery of electricity, this one is named after the machine it powers. The repeating hammer is a large metal cylinder housing a metal rod and this array at the back. As soon as the array is activated, the iron rod is hurled towards the end of the cylinder where it is stopped by spar of metal that ensures only a fraction of the rod will protrude from the cylinder. The array then pulls the iron rod back towards it and once it reaches the array it is again thrown towards the end of the cylindrical housing. It’s a very simple machine and so can be built on a massive scale. The only intricate parts of it is the array and the socket where the copper cable can be plugged in to carry the electricity towards the array. Because of the ease of creating the repeating hammer, it has found its way into a variety of trades in a variety of sizes. Builders and carpenters use a small, one handed version to hammer in whatever nails and rivets they need; while ship (sea or air) builders use larger versions that can also hammer in the planks together to fit more tightly. Even the Middelburg constabulary and military have been eyeing the repeating hammer. The constables want to use it to hammer down doors and barricades that have been runically strengthened or protected, while the military is eyeing up the hammer as a basis for a repeating musket. In the darker side of Middelburg, the criminals have been tinkering with the repeating hammer and have been attempting to make version where contact with skin sets it going, meaning you can put the hammer on a more traditional shaft and swing it at an enemy and the hammer will rocket forward within the cylinder the moment it makes contact with a person, shattering whatever it touches. For Magic Mondays this week we’re changing gears. This week we show you the Gearbox array. Notation: Push Iron at a speed of 1 m/s if Copper is present, at 2 m/s if Copper and Gold is present, at 4 m/s if Copper, Gold and Silver is present, or at 8 m/s if Copper, Gold, Silver and Tin is present. Pull Iron at a speed of 1 m/s if Wood is present. Stop Iron if Lead is present. Description: It’s a good old five speed gearbox, just made of magic rather than steel. It even comes with a built in braking system. This array works in a straighforward manner in that it increases the speed at which the iron is being pushed if more material is added. By using all the If-Then statements, you can get much more control than if you did multiple arrays or tried to use the Quicken runes as modifications rather than as affecting runes. 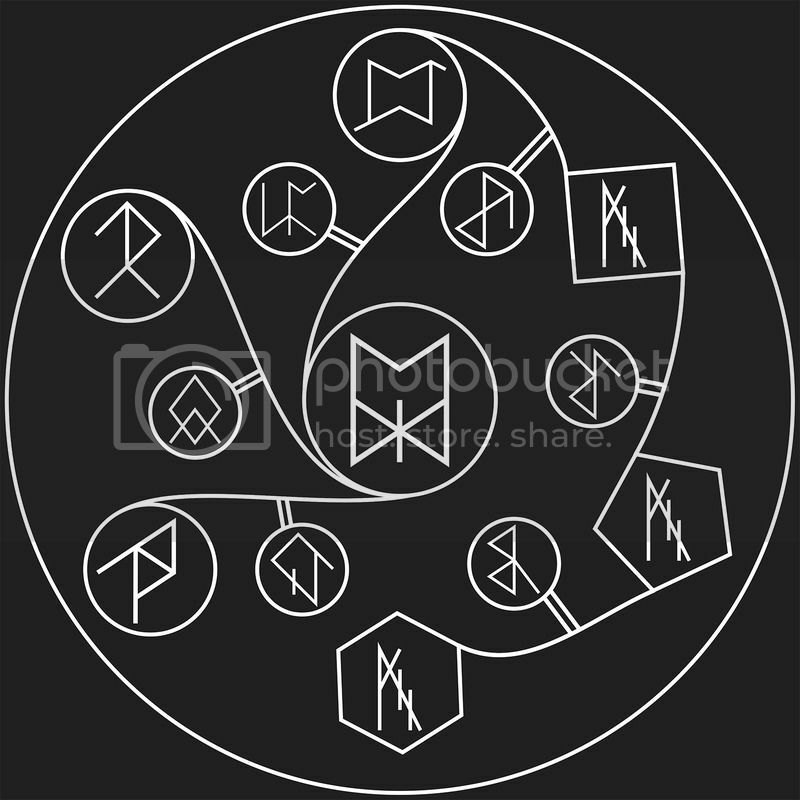 Remember that because each Quicken rune is chained to another, and ultimately to the Push rune, you must have all the materials inside the array’s field of effect for that rune to activate. For example, if you had Copper, Silver and Tin but no Gold then only the Push rune would activate. This is where the control comes in as you can limit which rune activates at what time. 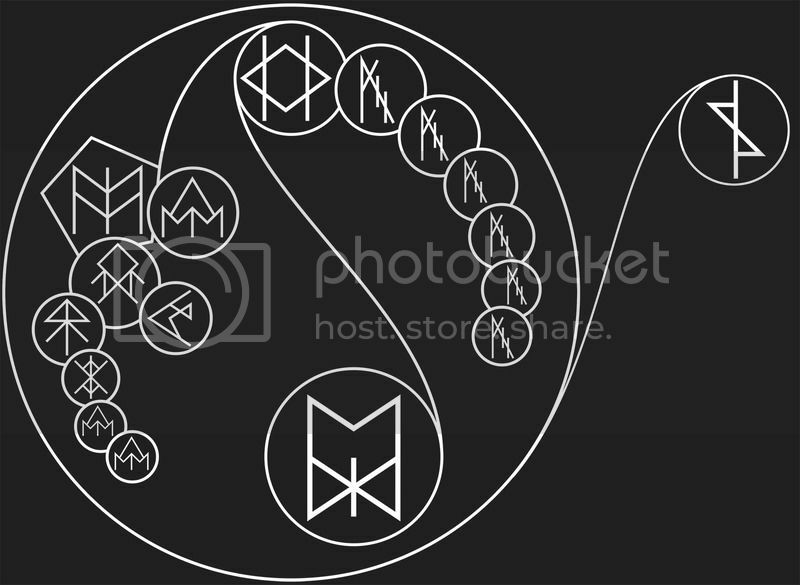 You can even chain different runes, or even entire arrays, this way to create a sort of runic algorithm. As to how this array works in practice? Well it function as the gearbox for all the trains in Middleburg and the entire island nation of Alfresia. Inside the engine of each train, these arrays are placed around huge teethed wheels that connect to the train’s wheels on the track. As these arrays push the teethed cogs, they turn the train’s wheels and off it goes. However, between the cogs and these arrays are six levers, each made of one of the materials in the array. Moving the train then becomes very simple, you just pull each lever into position between cog and array and it activates the array to push the cog that pushes the wheels. And if an emergency should happen, you can always pull the lever made of lead to freeze the cogs in place, stopping the train as quickly as anything could. Of course, remember that 8 meters per second is almost 30 kilometres per hour, so stopping a fully laden train at that speed in an instant will almost definitely result in damage to the engine, but that is why they call it an emergency. For Magic Mondays this week we give you a way to move unseen. This week we show you the False Door array. Notation: Sustain the Receiving of Light if no Humans are present. Description: The False Door array is a must have for any spy, secret society or just plain anyone who wants a secret hideout and doesn’t want it discovered. The False Door, as its name implies, creates the illusion of a solid surface where there isn’t any, and vanishes when someone approaches. It does this quite simply. The array you see here is only one half of the process, the receiving end. Another array that simply says Send Light is placed facing a wall. Any light that comes through that array’s field of effect is then Sent to this array. That light would include any light bouncing off the wall. That light, that image of a wall, would go straight through the first array and come out of this array, making it appear as if there was a wall where the False Door array is. There are two thing you need to worry about. First is how the receiving array is positioned so that the wall doesn’t appear upside down or at an angle. You might have to re-position and play with it for a while until you get it just right, but if you do, you can make a doorway, or alleyway completely disappear into the walls around it. The second is finding a patch of wall (or whatever you are using to disguise the entrance to your secret hideout) that matches where the entrance is. You don’t want someone to be walking down an inner city alleyway and suddenly seeing a section of fancy marble wall. After all this, you might be asking yourself why there is a need for this illusion to disappear if a person gets close enough to it. The answer is twofold: Firstly, if the only people allowed inside this secret hideaway already knows about it, then it is for pure convenience. Remember that all light that enters the Sending array will come out of this one. So after you step through the fake wall, you will see the rest of all the light from the first array. You would rather see the door you have to open or the passageway you want to walk through and not blindly having to make your way through, so by shutting off the light, it allows for an easier access. Of course, if you want people (the right sort of people, of course) to find your secret hideaway, then having the illusion disappear when they are close makes everyone’s life so much more simple. In either event, if will probably pay good dividends to have an extra array hidden away behind the illusion, perhaps some sort of offensive array that must be disarmed so you can keep undesirables out. For Magic Mondays this week we give you a sight to remember. This week we show you the Dying Light array. Notation: Create 20 Lumens of Light per cubic centimetre in an area 1000 times greater than the array and Contain all Light to this area. Description: This is the sister to the Swan Song array and is intended to be just as cruel and brutal. The only real difference is that where the Swan Song deafens you, the Dying Light blinds you. It does this by creating a light twice as bright as the sun all around the victim. The fact that this array creates light within every cubic centimetre of the containment field is important. With sound, it doesn’t matter which way you are facing, the sound from the Swan Song will rip your ears apart all the same, and that’s why the sound of that array can come solely from the metal “bomb”. With light it’s different. If you’re not facing the right way or if there is something in between you and the bomb, then you would probably only get temporary flash blindness. That issue is solved by the Dying Light array. It doesn’t matter which way you turn or what is in between you and the “bomb”, as long as you are within the containment field (a good ten metres, so it’s no laughing matter) you will feel as if you are standing inside the sun. It won’t even help closing your eyes (if you can in time) as pressed right up against your eyelids will be, yes again, a light twice as intense as the sun. Even through your eyelids, this is will be a painful experience, and seeing as this array can be precharged with as much energy as needed, you would have no idea how long to keep your eyes pressed shut. Eventually you will have to open them and when you do the last thing you will ever see is the brightest light in the world. Lucky for everyone not caught in the containment field as all light is contained within, meaning everyone outside will just see a solid black sphere and presumably hear the agonising shouts coming from within. 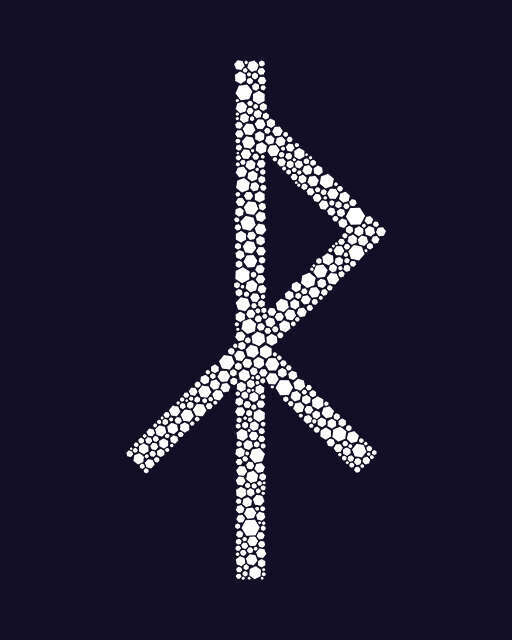 If you don’t want to just blind someone or just deafen someone, remember that if you are good as inscribing tiny runes onto 1cm metal balls, you can put both the Swan Song and the Dying Light arrays on the same metal “bomb”, meaning you can blind and deafen someone at the very same time. If you are that cruel, that is. For Magic Mondays this week we give you a sound you’ll not soon forget. This week we show you the Swan Song array. Notation: Create Sound at a strength of 150 Decibels if Stone is present and Contain Sound to a space 1000 times greater than the array if more than 100 Decibels of Sound is present. Description: This is the Sound Bomb‘s bigger and angrier brother. It is also the first Bomb type array which is utterly and completely an offensive array. Even the Crypt’s Breath array, as foul as it is, can be used in a more “utility” fashion (by clearing a house from pests), but not the Swan Song. It is a cruel and efficient weapon meant to cripple and disable opponents, and if you are extremely unlucky this can also kill you. It is called the Swan Song because if you are caught within its blast then it is the last sound you will ever hear. This array permanently deafens humans by creating a sound so loud that it bursts your eardrums. A 150 decibels, especially at close range is more than enough to do that and the shockwave will also blast you off your feet and knock the wind out of you. While the fatal decibel range is between 180-200, a sustained wave of 150 decibels can cause embolisms in your lungs which can travel to your heart or brain to kill you as gruesomely as any bullet can. 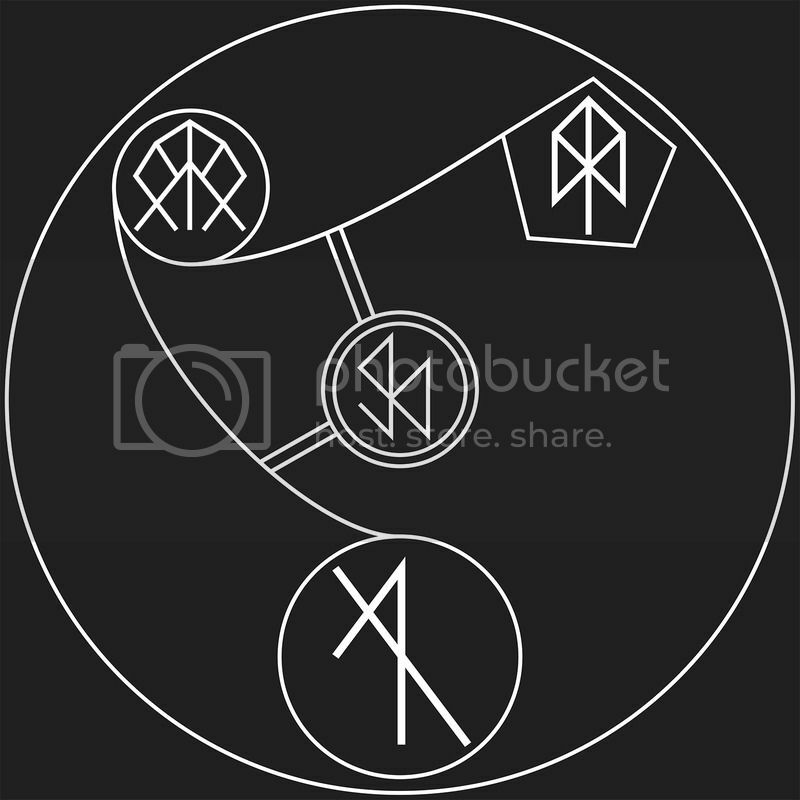 The reason for the second Contain rune in the array is thus fairly obvious, when you throw the 1cm metal ball at someone, hoping to rupture their eardrums, you don’t want to be permanently deafened yourself. So the array restricts all sound above 100 decibels (thus also the sound it creates itself) to 1000 times the array’s area, or 10 meters. So everyone within 5 metres of the array will never hear a sound again, while everyone outside it will never even know what is happening. By containing the sound, you will only make it echo and reverberate throughout the containment field. As the array has an If-Then statement, it can be precharged with as much energy as needed, meaning that deafening sound can continue for as long as needed. That is what makes this array so deadly, as continual close proximity to the sound can cause the earlier mentioned embolisms. If you add in a Human rune to the If-Then statement alongside the Stone rune, you can also use this array as a trap, to deafen unsuspecting enemies. Its usefulness is combat should be quite apparent. If you are in a heated firefight, simply throw a few of these at them and not only will they be momentarily stunned, since they are now deaf you can creep up to them without a worry. This array is also perfect when you are running away from overwhelming opposition for much the same reasons.